Don't call it a relaunch. The first round of U.S. ads for the new Honda Insight defined the car as "the hybrid for everyone" and made a big deal about the Insight's low price compared to the Prius. They showed all sorts of people enjoying the Insight, but didn't exactly put the car's eco-benefits front and center. The ads were, to say the least, not successful. Honda is now reworking the marketing plan for the car after making some changes to the actual vehicles earlier this year. A new campaign that will kick off early next year will highlight the car's efficiency and eco-features, says a new report in Automotive News (subs req'd). The Insight's eco assist dashboard, for example, is a likely candidate for a starring role in at least one of the ads. American Honda Motor Co. executive vice president John Mendel told AN, "Are we happy with how sales are going? No, we're not happy. We are going to continue to market the car. But to call it a relaunch makes it sound like we did something wrong." Numbers don't lie, though, so let's look at the sales totals. Since launching the unloved Insight in March, Honda has sold just 18,933 copies in the U.S. (through the end of November). The original goal? 90,000-100,000. 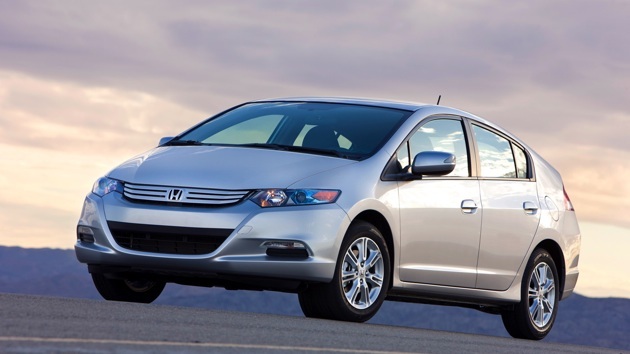 Honda decides eco-features, not hot people at the beach, should define Insight ads originally appeared on Autoblog Green on Mon, 14 Dec 2009 19:08:00 EST. Please see our terms for use of feeds. 0 comments on "Honda decides eco-features, not hot people at the beach, should define Insight ads"